One of the things that never ceases to amaze me about London is the amount of significant historical sights that go completely uncelebrated. Call it an abundance of historical detritus if you like. An excellent example of this is Drake’s steps. Everyone knows the concept of a (gentle)man laying down his coat for a lady to walk across a puddle unhampered. 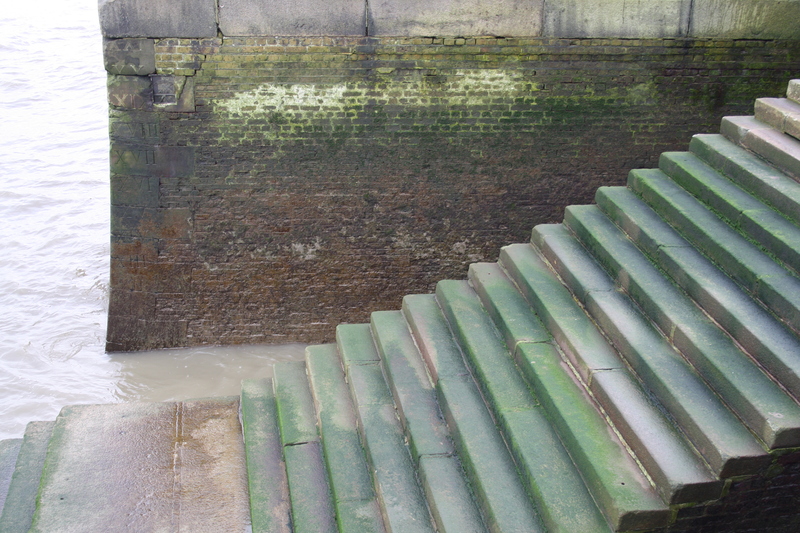 Well this very concept originated at Drake’s steps – now just an uncommemorated set of steps leading to the Thames at Deptford. Drake’s galleon, The Golden Hinde (a reconstruction of which you can now visit near London Bridge), was moored at Deptford when he received his knighthood in 1581. When Queen Elizabeth I visited to bestow the honour onboard, Sir Walter Raleigh placed his coat down at the top of these stairs to keep her feet dry, pretty much marking himself out for all time as the archetypal gentleman. A small plaque commemorating the victualling yards in the area, well after Drake’s time, and another to Drake’s endeavours at sea is all that marks out this place. 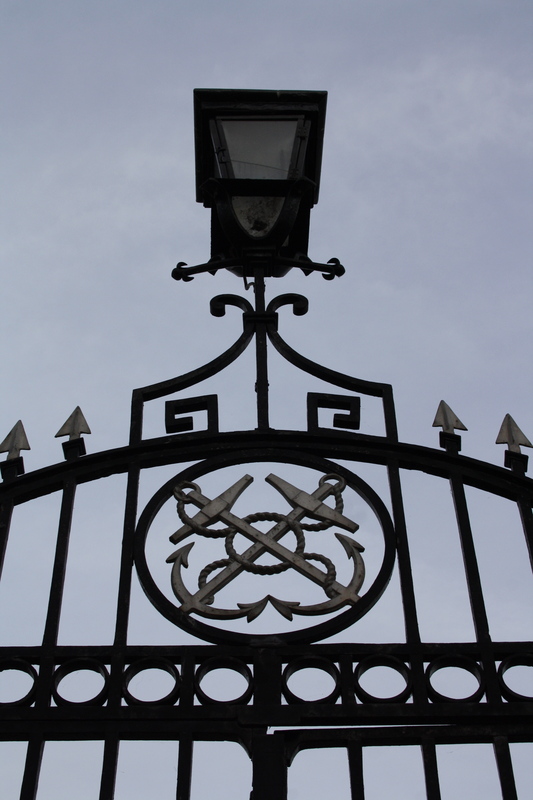 Sometimes the gates are left open – on my last visit they were held together with a flimsy piece of rope. 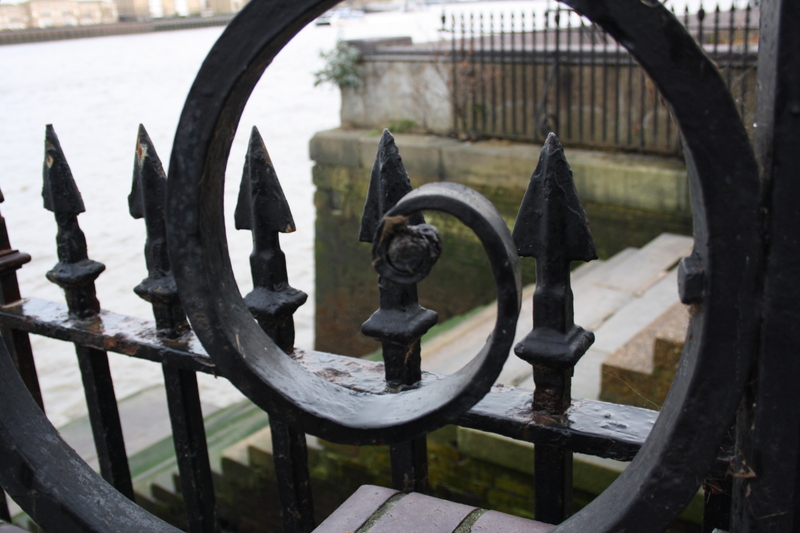 You can find this uncelebrated corner of London’s history along the Thames in Deptford, just above Conroy’s Wharf. It’s nowhere near a tube – the closest would be Surrey Quays, a good twenty-minute walk – but you can take the 199 bus from Canada Water station to the third stop on Grove Street.